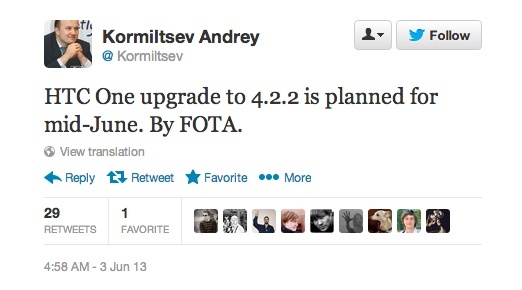 According to HTC Russia boss Kormiltsev Andrey, the HTC One update to Android 4.2.2 is currently scheduled for a mid-June rollout. In fact, Andrey hasn’t been shy about making the announcement through Twitter. He has been replying to his followers for the last 10 hours or so, making sure they are clear that he is indeed talking about the One and its Android 4.2.2 update. While this is good news for One owners, you can probably already imagine the complaints that will come down once the Nexus experience launches, is then updated to Android 4.3, and the Sense version of the One is stuck an update behind. But no matter what, 4.2.2 is a much needed bump. This isn’t an entire overhaul of Android by any means, but it does make notifications more powerful and introduce lock screen widgets. 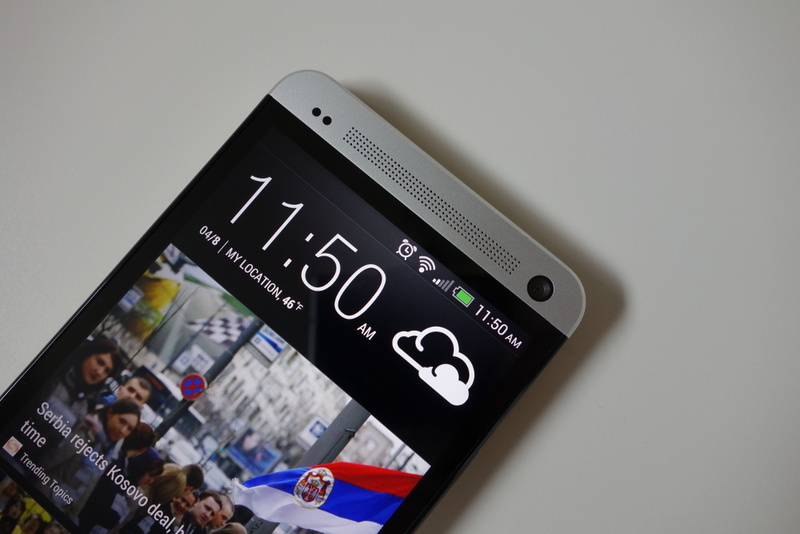 There are a number of other new features in 4.2, but HTC’s skin will likely wipe them out. So, mid-June is a week or so away. We would assume the international variant will receive the update first, along with the unlocked and developer editions. Carrier versions could be a bit later, if history tells us anything. If you’d like to see what Android 4.2.2 has to offer, be sure to check out this video.